People unfamiliar with the Armenian/Middle Eastern table often hesitate to try the cuisine because they believe it is highly spiced and/or uses too many unfamiliar ingredients. Nothing could be further from the truth. Rather than relying on condiments, sauces, or lots of seasonings, Armenian flavors depend on the food itself, or the combination of foods, to give the relatively simple dishes their fine flavor. The fresh and dried herbs most often used in preparing the foods of a cuisine tend to define that cuisine. Would a dish be Italian without basil? Or Greek without oregano? Not likely. Just as unlikely is an Armenian dish without flat-leaf parsley. Parsley, mint, dill, and chives are the common herbs used in Armenian fare. All are quick, easy, and inexpensive to grow in a kitchen garden. Planting an Armenian herb garden is a great way to introduce newcomers to the table while also inspiring the most experienced cooks. There are only a few basic rules to planting a successful herb garden—use good potting soil ( a mix of potting soil and peat), locate the garden in a sunny place near the kitchen, and keep it watered. Watering must be regular and when the plant requires it, so try to find the best traveling sprinkler to maintain it hydrated and green. If you do these three things, you’ll enjoy a bounty of pleasure the entire growing season. I highly recommend planting herbs in containers. All the Armenian herbs grow well in pots, and containers are easy to move. Portability is important because you may need to adjust your garden’s location as the sun changes position over the course of the growing season. I’d go one step further and say, “Do NOT plant mint in the ground!” Mint is an aggressive grower. Once planted, it may take over the entire bed. As is, mint often jumps between containers, so keep an eye on it in all cases. For all herbs, buy good-quality seeds from a reputable company and plant them according to the directions on the package as soon as you can in your clime. Water well, and voilá—your herbs will thrive and be available to harvest steps from your kitchen. Parsley—Did you know that there are more than 30 varieties of parsley? In keeping with the tradition of my work, I’ll keep it simple. 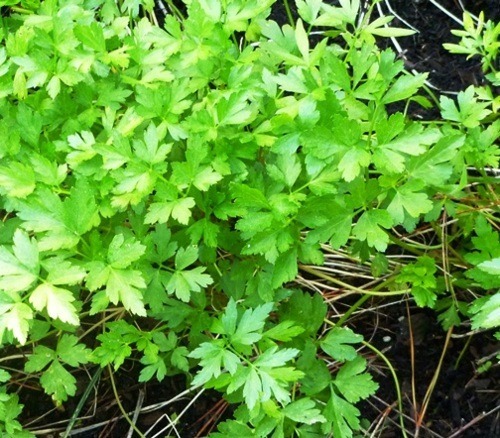 Of the two most popular varieties, Armenians prefer flat-leaf parsley (also known as Italian parsley) over curly-leaf parsley. The reason for this is that while parsley in general is fairly mild in flavor, flat-leaf parsley is the more strongly flavored, and the Middle Eastern cook wants the herb’s slight peppery flavor in salads, stews, dolma stuffings, and other dishes. Armenian fare is commonly garnished with parsley also, but looks are always secondary to flavor in the ethnic kitchen of my ancestors. 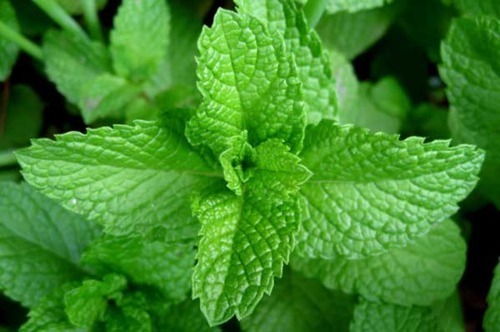 Mint—Of the two most popular varieties of mint, the Middle Eastern cook usually prefers spearmint over stronger-flavored peppermint; the reverse of the cook’s bias when using parsley. The Armenian kitchen uses dried mint more often than fresh mint. (I’ll tell you how to dry your own mint in another post; for now, let’s get it growing in your kitchen garden.) Mint is added to salads, soups, legume dishes, and mains. 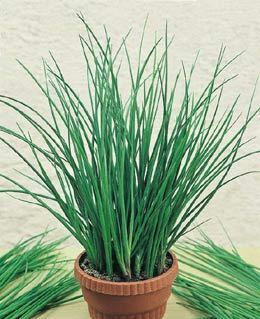 It is a perennial, so once you get it started, the herb will come back every year. Dill—Did you know that the early Romans considered dill a good luck symbol? Me neither, until I looked it up. The Armenian kitchen uses fresh dill, almost exclusively, because the heady fragrance and flavor of the feathery green leaves, called dill weed, is quickly lost when heated. The herb is an annual. 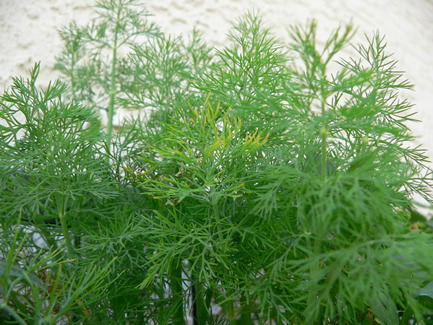 Dill can grow to a height of about 3 feet so it’s best to plant it in a large container. Fresh dill is often used to flavor a yogurt and cucumber soup, called Jajek. It’s also used in a variety of salads in combination with mint or instead of mint, since both herbs offer wonderful aroma and flavor. Chives—In the Armenian kitchen, it’s less about chives in particular than about onion flavor in general. Armenians love onions, leeks, scallions, and chives. The mild onion flavor and slender, hollow, green stems of fresh chives are delightful when snipped into egg dishes or on top of fresh tossed green salads. Being a frugal people, Armenians get great pleasure from adding the chive’s eatable lavender flowers in summer salads, as well. Okay, admit it. There’s nothing exotic or scary about parsley, mint, dill, or chives. So what are you waiting for? Plant your Armenian herb garden as soon as your weather permits and enjoy the bounty of the Armenian table with me all summer long.